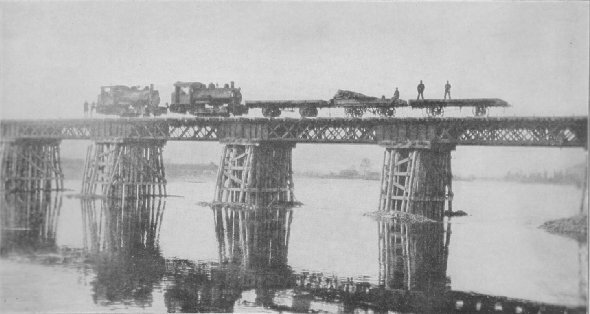 In order that war materials might be moved with speed to the front, American engineers were kep busy building bridges in the destroyed areas. This section of the American railway is the Nevers cut-off, Department of Nievre. 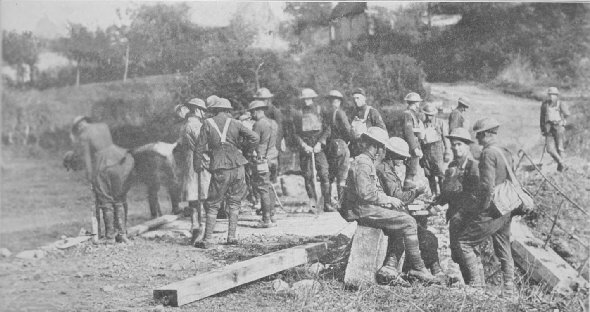 Members of an American engineering force building a bridge across the Selle River between Escaufourt and St. Martin-Riviere, Aisne, France. The picture was taken as the men were preparing for a lunch and rest period.